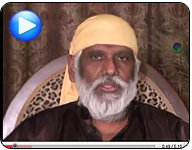 What will happen during this Guru Poornima (Full Moon of the Guru)? Monday, July 6th is the most auspicious Full Moon of the year to pay ones respect and reconnect to God or the Guru. This particular Guru Poornima ushers in a new profound energy to change your incorrect views about money. On this day there will be rare Goddess energies sweeping the earth plane which can help you transform your life for the better. The Goddess energies are no other than “prana” or “life force” energy that exists in all things. By tapping into this energy, you can gain clarity and power to manifest material abundance.Click here to listen to Baba speaking on Guru Poornima and the Descent Of Divine Light. How to Access the Grace of Guru, God and the Goddess on this Day? Astroved has organized special feeding at the sacred mountain of fire called Thiruvannamalai. Millions of celestials, Siddhas and Goddesses descend upon Thiruvannamalai on this Full Moon day. Feeding people on Guru Poornima day is considered the most sacred act that will fetch you the blessings of God and help you to tune into the bliss energy or grace light.